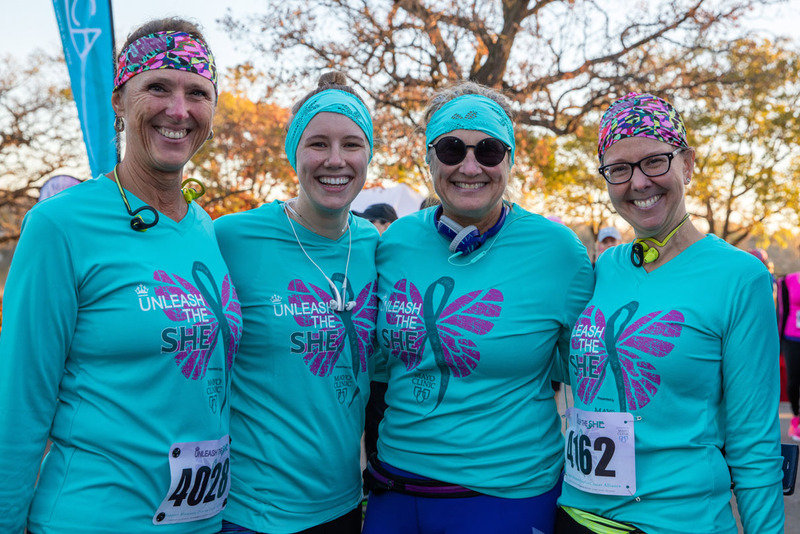 Join Chris Carr & McKaila for Unleash The SHE for Minnesota Ovarian Cancer on Sunday, October 14th at Phalen Lake Park in St. Paul. Refer a friend: When you register for a Unleash the She event you will be greeted with a unique referral link on the thank you page. Share this link and earn $5 back for every person that registers using your unique code! * If you missed this code on the thank you page, you can access your code by logging into your Race Roster account and selecting the link in the "Promote This Race!" section. *Referral checks are issued once a month when you earn $25 in cash back. Cancellations: Race fees are nonrefundable and cannot be transferred to next year's race or another event. Sorry, no exceptions. Your registration can be transferred to another participant up to one week before race day. Registration transfers can be done through the online registration page once logged into Race Roster. There is a $15 transfer fee along with any event price difference. There will be no registration transfers after the deadline or on race day. Switch Distances: You can change your event distance up to one week before race day by visiting the online registration for this event. Once logged in you will have an option to switch distances. There is a $5 switching fee along with any event price differences. If you miss the deadline for switching distances, you can change your distance at packet pick up for a $10 fee. There will be no event switches on race day.